The book had to be pulled from the shelves after students spotted its x-rated content. A school had to recall an entire yearbook after a student decided write a very blue message in it. 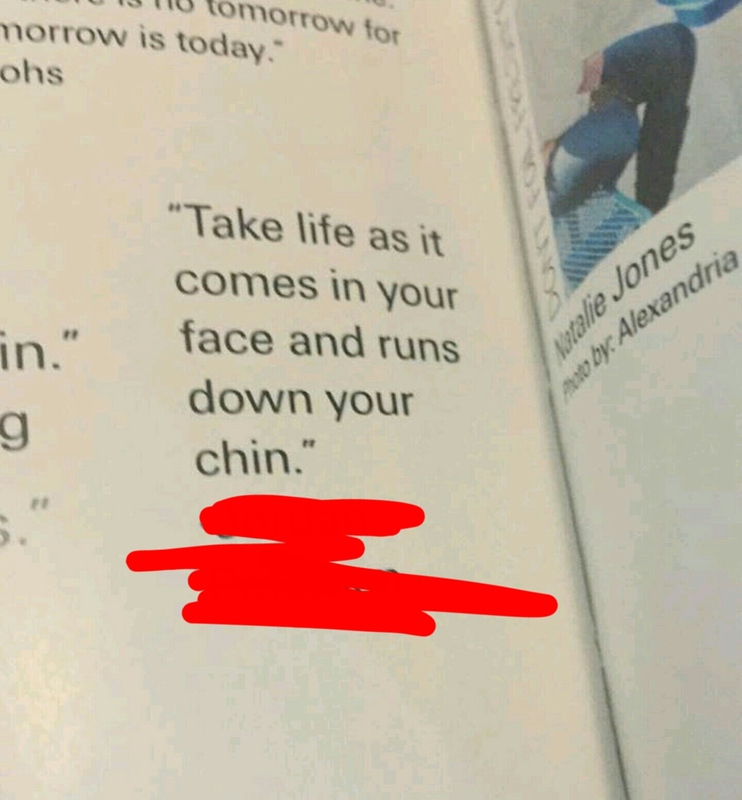 According to Reddit user, Z-Games, students at his high school got a bit of a surprise when one prankster decided to hide some rather x-rated advice in it. The crafty schooler started his quote rather innocently, writing: “Take life as it comes” but soon ended his pearls of wisdom with the words “in your face and runs down your chin”. Well that escalated rather quickly! To be fair, how could they not have seen it coming?